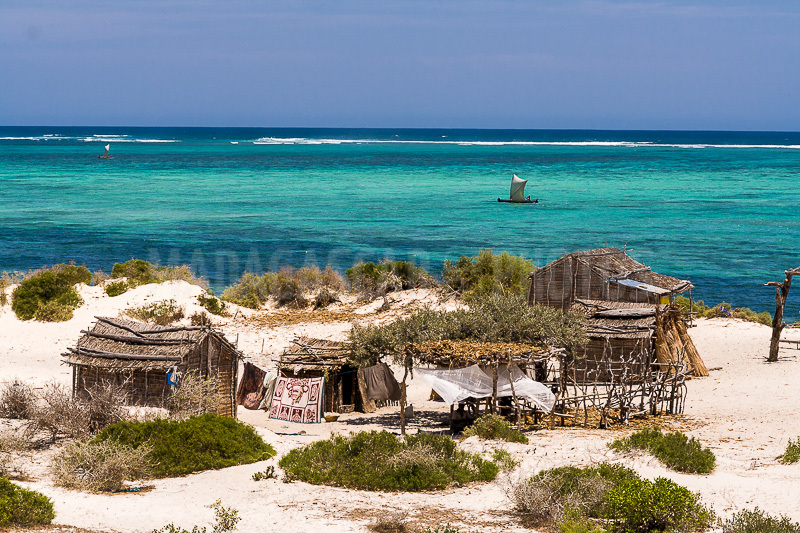 Salary is a small fishing village on the west coast of Madagascar, located between Andavadoaka and Tuléar. It is a full-size postcard. The Vezo fishermen (tribe of nomadic fishermen) leave early in the morning their dugout canoes equipped with makeshift sails. In the hot hours, everyone lives at the rhythm of the "mora-mora", an idle lifestyle for the Malagasy. The Salary bay is a sumptuous landscape. 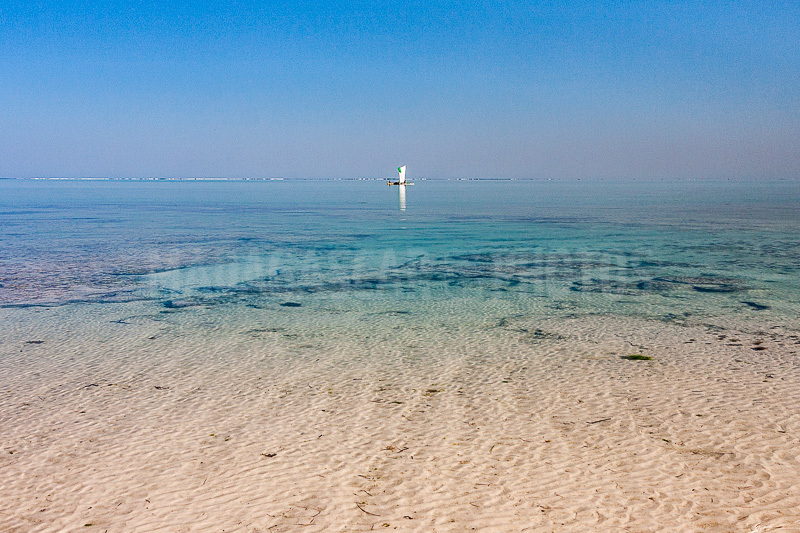 At the edge of the Ambatomilo lagoon, which stretches over 60 miles from Ifaty to Andavadoaka, its turquoise waters and white sand beaches out of sight make it a beautiful place, all in an immensity and a calm almost unreal. Only the slamming of the lagoon's ripples could disturb the tranquility of this virgin and still preserved nature. Not far from there in the land lives an ethnic out of the common: the Mikea. Is it possible to live, or survive, in a forest where there is no source, no pond, no well, and fleeing all contact with the outside? There is the mystery of the Mikea and there are no longer the researchers and scientists who tried to break through it. Louis Mollet formulates the equation as follows: "It may seem unlikely that today, men and women live weeks, months, even years without drinking. Yet this is what happens to a small group of Malagasy people secluded in this region north of Tuléar, known as the thorny Mikea forest". In this forest grows a succulent yam called "baboho" whose tubers, as big as the thigh, are the basis of their diet. Added to this are hunting and gathering - because the Mikea are constantly moving - and eaten raw, grilled, or cooked under the ashes. Unfortunately, this environment is seriously deteriorating. "Without their forest they will not survive", is alarmed Théo Rakotovao. "If this expanse be disappear, all the people of Mikea are condemned to extinction".